Anyone who has watched a Friday the 13th movie will be well aware of the fictional character Jason and has psychotic mass murdering behaviour. On the 5th of May, Jason is making his debut in the Mortal Kombat franchise and in this post I'll be covering all of his variations and taking a close look at his unique Fatalities. Having appeared in all of the Friday the 13th movies, Jason is the main antagonist who stalks and kills the other helpless characters. In the original movie he was a mentally disabled boy but later Jason progressed into a non-speaking, indestructible madman whose primary weapon was a machete. 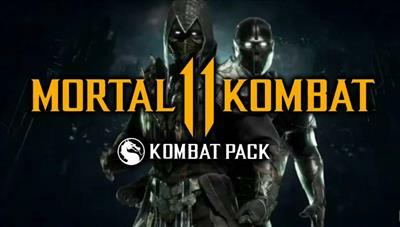 It's the latter version of the character that we see in MKX. Fans will be pleased to know that all of Jason's classic characteristics have been brought forward into Mortal Kombat X. He has the familiar white face mask, the long machete weapon and is a brute force character, overpowering most opponents with ease. 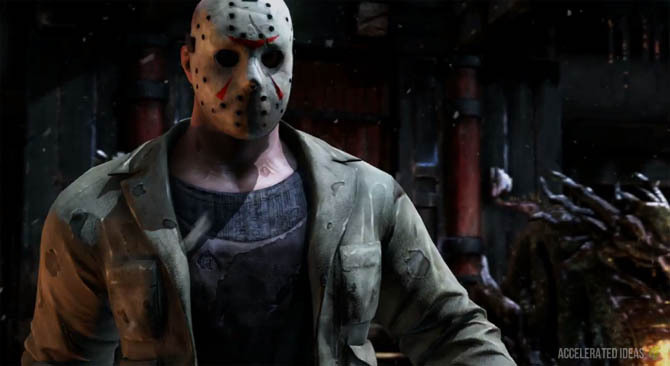 Jason has some of the best variations in the game (which is not surprising from a DLC character) and some of his best special moves include: a great buff which reverses all the opponents special move inputs in the Relentless variation; bonus health from the meter in the Unstoppable variation; and unique machete combos in the Slasher variation. Jason has a small number of core moves which vary in each variation. Examples include a Back Breaker move where he picks up the opponent and smashes them onto his knee, breaking their back. His Choke and Tight Squeeze are close range moves where Jason chokes and lifts the opponent or squeezes them like a bear bug. His best moves are reserved for the variations where Jason gains various buffs. The unstoppable variation means just that! Opponents will find that Jason almost comes back from the dead thanks to the bonus health he gains from the remaining meter upon death. The maximum health you can gain is around 25% if you have a full meter on death, and at a minimum you'll gain around 5% even with no meter left. This makes Jason incredibly hard to defeat in this variation because it's like having a second health bar. Jason also gains a temporary healing buff (Rise) and damage buff (Punishment) in this variation, so players can choose whether they want to automatically heal or prefer to inflict greater damage against their opponents. The classic variation for Jason sees him armed with the machete signature weapon. This weapon can be thrown as a mid height attack with decent speed (projectile attack) and it also forms many unique machete combos, much like Mileena's piercing variation. 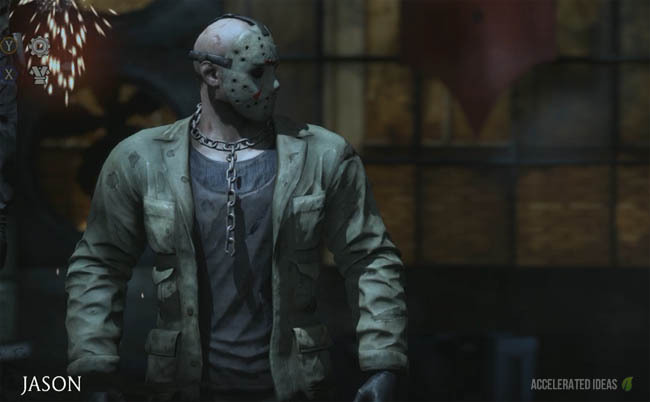 Also in this variation, Jason has an armour buff called Killing Machine which provides massive protection against any attacks. Of course there's a penalty to this move - players cannot jump when it's activated, and Jason is also briefly stunned at the end which opens him up for counter attacks. Make sure you knock your opponent down at the end of the move or finish them off completely to avoid being punished. It's also worth noting that opponents can still use their X-Ray even when you have the armour buff activated. In this variation he gains a teleport special move which is unsafe in its regular version but the EX (enhanced) is guaranteed to be safe. Jason slowly walks away and then materializes behind the opponent. This gives the player a brief second to catch the opponent unaware. Probably one of the best special moves (and most annoying for opponents) is the auto debuff called Pursuit which causes the screen to turn red and the opponents input gets reversed. This is the same modifier that you see in the Test Your Luck mode which completely confuses inexperienced players. Lastly, the special move called Damned is an active buff where Jason gains increased damage as his health decreases. Jason has five Brutalities in the game and three of these are unique to his variations. Just like other Brutalities in MKX, some finishers have tricky prerequisites: a requirement to use Resurrection in the final round, another asking you to activate the damage buff first and another Brutality which requires you to walk several paces before using your X-Ray. Depending on the opponent you might not have the chance to fulfill these!